The first announcement is around the SimpliVity hyper-converged platform. SimpliVity was an acquisition by HPE made at the beginning of last year, the platform provides a converged solution of HPE ProLiant compute and VMware hypervisor. Newly announced is that SimpliVity will be broadening supported hypervisors beyond just VMware by also offering Hyper-V supported nodes. 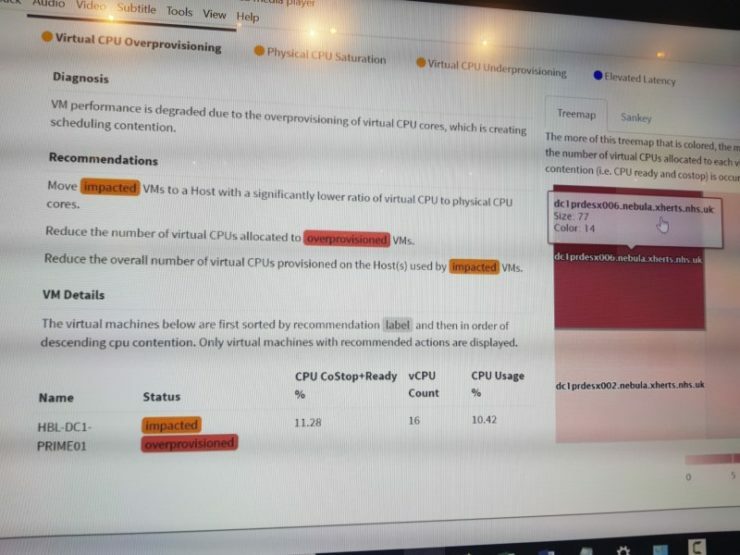 There is not complete feature parity in the initial release, with features such as file level restores and Rapid DR not yet supported in the Hyper-V version. 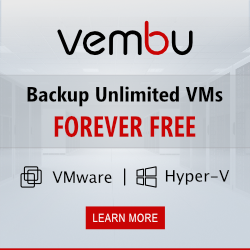 But the core SimpliVity functionality of global dedupe and compression plus VM clones is all there, if you are new to SimpliVity check out my quick start guide. Like in the VMware flavoured version management is all within the native application, so for Hyper-V this is MS Virtual Machine Manager. 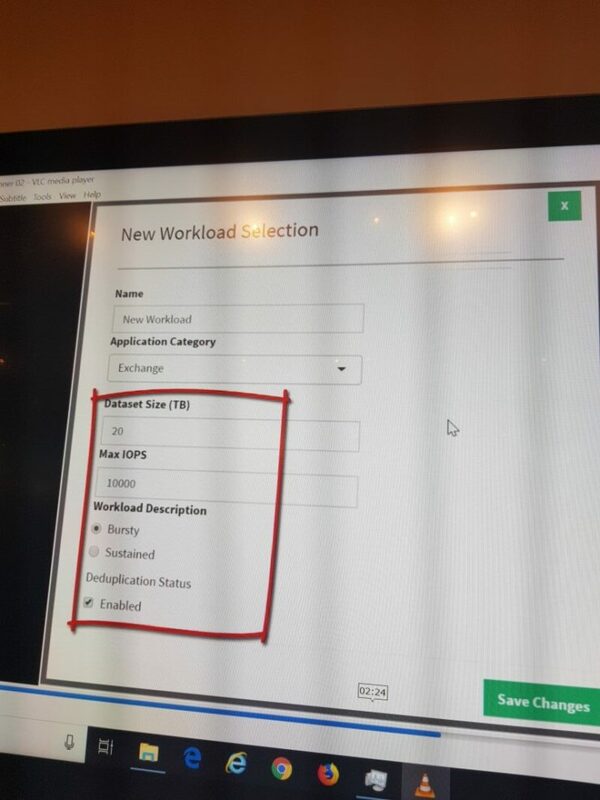 Currently there are 10 different configurations of VMware SimpliVity model with the Hyper-V variation at launch there will be with a smaller portfolio of 4 offerings. These will be aimed at what today is the most common requirement for Hyper-converged platforms, small and medium deployments commonly found at ROBO sites. The storage news focuses on the Nimble platform and includes a refresh of the hardware across the range. Store more guarantee – HPE are betting that they have pound for pound the most efficient array with their Nimble systems by offering a capacity efficiency guarantee. 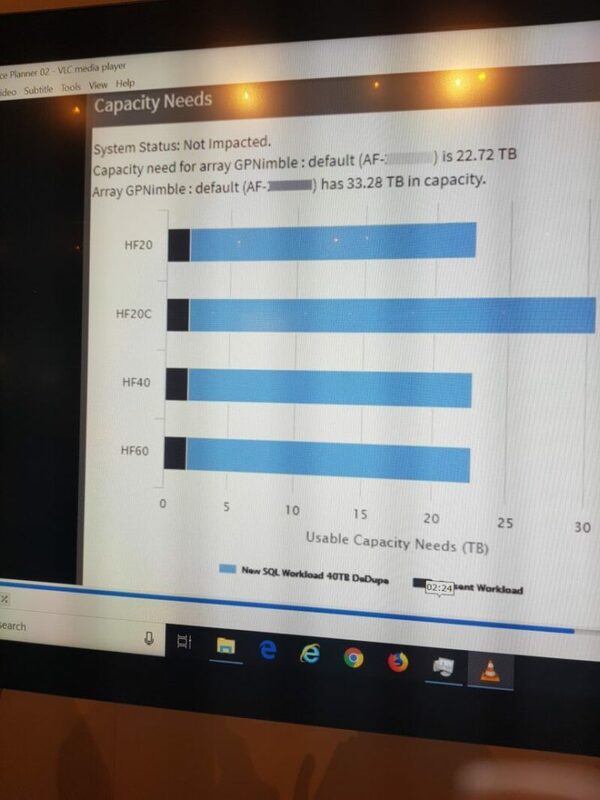 If you can show that another system is more capacity efficient HPE will match the difference with additional capacity. HPE’s confidence to make this bold claim comes from their architecture which has a low overhead before even considering any data reduction techniques. Any storage system will have an overhead for sparing, system use, RAID etc HPE claim that their Nimble product has less of an overhead than the competition. Once data reduction is applied this free space available from a lesser system overhead brings a significant advantage due to the multiplier effect when compression and dedupe are applied. 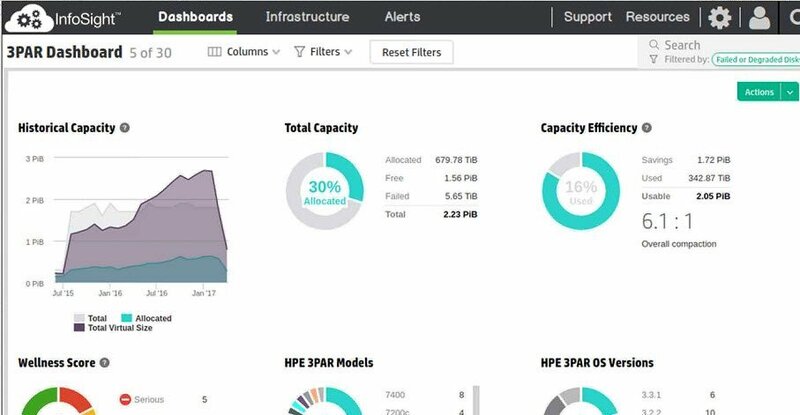 SCM / NVME – Nimble storage system are future ready with a promise from HPE that in the future customers will be able to non disruptively upgrade to Storage Class Memory (SCM) and NVMe. 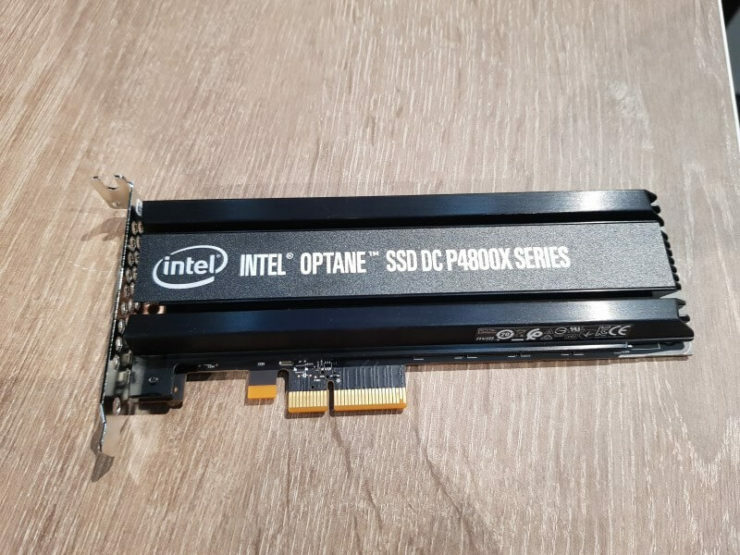 HPE see the maximal benefit will be achieved by coupling SCM and NVMe together predicting this could achieve up to a 10x performance boost versus NVMe and flash. New models – The new range starts with the AF20Q and AF20 which start at 6TB of useable storage and scales up to the AF80 which scales to 4PB of useable capacity, these figures assume 5:1 data reduction ratio. The hybrid family are called HF scaling from the entry HF20H which offers 821TB of useable capacity the HF60 which has 5PB of useable capacity. The HF20C is designed for workload that require compression only and would not benefit from dedupe. 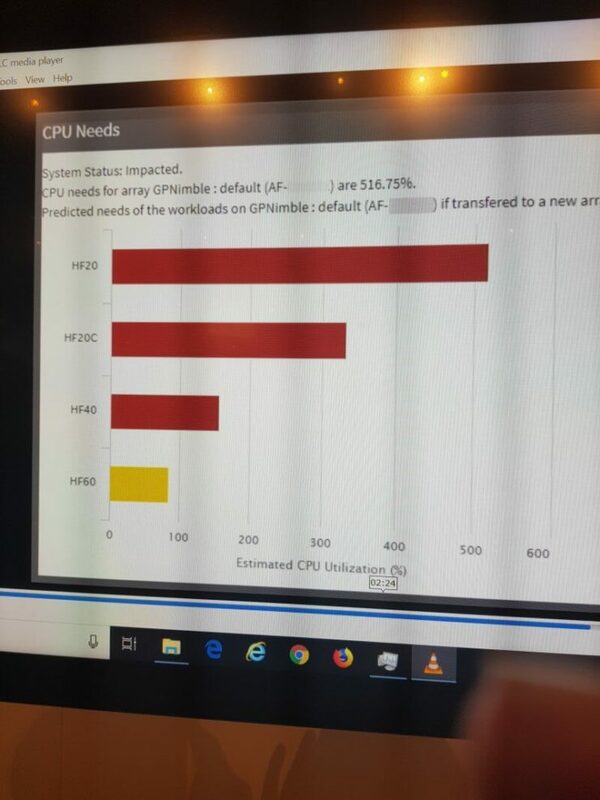 Both the Hybrid and all flash models have updated intel processors inside which is one of the key drivers to increased performance, which HPE are estimating is +220% versus the current model. Inline always on dedupe – The Nimble hybrid models benefit from the addition of inline dedupe. This essentially means that deduplication is performed as the data is entering the array. HPE Discover is due to kick off in Madrid next week and HPE have continued their current tradition of releasing all the big news before the show. I’ve been lucky enough to attend a few Discovers now and I have noticed some interesting trends in the type of announcements. Previously it was all about physical products, what were the newest models what were the hardware innovations in these products. This year all the key announcements are software based and focus on enhancing user experience. Ironically for many years whilst storage systems stored lots of data on them, the data analytics for managing the systems was somewhat lacklustre. Data was gathered from these systems and sent back to base but it was a simple affair which alerted you to failed components such as a disk. Nimble Storage saw a unique opportunity in this area and acted upon it by developing their class leading InfoSight analytics platform. Like other storage systems Nimble sends data home, but where things get different are in the breadth of statistics collected and what happens to them once they are sent back to base. Nimble realised that by taking the data from their entire install base and then using machine learning against this, insights could be developed to predict issues before they even occur. I have two impressive stats to back this up; 86% of issues are being detected and fixed before the customer even knows about it and 54% of issues resolved are outside of storage. This ability to diagnose issues outside of storage closed what Nimble termed the app data gap. The first major announcement from HPE Discover is that InfoSight is now able to utilise AI. We discussed previously how Nimble had built a cloud analytics platform from all the data that was being sent home. InfoSight was able to analyse and predict future patterns using machine learning. The introduction of AI allows this to be taken to the next level by enabling more complex issues to be automatically addressed. Recommendations will go beyond simple problem prevention to include resource optimisations, ensuring you getting the most from your system. Again this is not just for the storage itself but the whole ecosystem for example it may recommend the movement of a VM to a different volume. The name of this new AI functionality “AI recommendation engine” clearly indicates its future direction for further automation. The second piece of InfoSight news is that it is coming to 3PAR. 3PAR has always had a rich amount of telemetry being sent home but up until now it has arguably not been fully utilised. But of course lots of data without the tools to interpret and act upon it is not much use and this is what InfoSight has enabled. Like the Nimble system before it InfoSight on 3PAR will not just report on the storage itself but down to the application level. To benefit from InfoSight on 3PAR you need to be running 3PAR OS 3.3.1 have an active support contract and of course have your 3PAR configured to dial home. I’m sure that the HPE engineering team are working at a furious pace to get InfoSight out across to as many products, as quickly as possible. It’s clear to see that improved analytics would not only reduce operational issues but that the introduction of AI driven resource recommendations will drive the move to an automated data centre. It seems obvious that automated resource allocation recommendations would fit in nicely with Synergy where the ability to spin up and down workloads dynamically could then be orchestrated intelligently. Looks like that acquisition of Nimble is paying off already.